The I Love My Freedom Patriot Promise! We know shopping online isn't always the easiest! 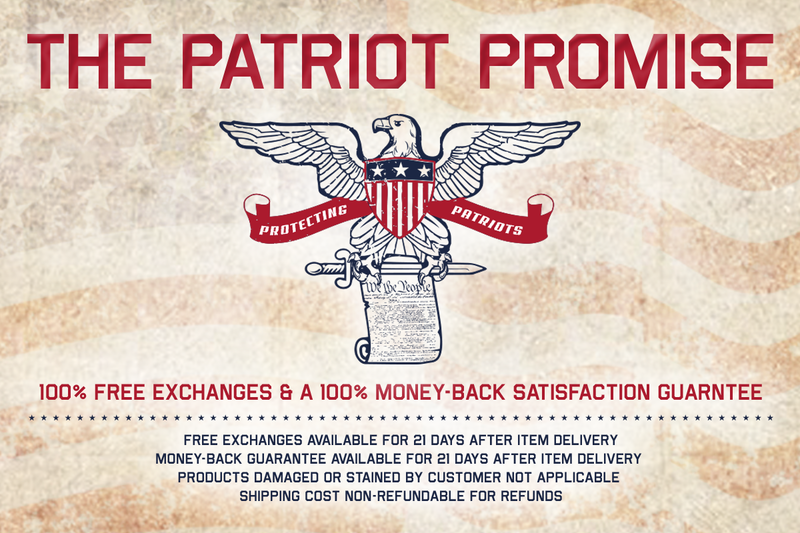 So we developed the Patriot Promise, a hassle-free way to order your patriotism! Unlike the Democrats and the liberal media, we will PROUDLY protect fellow American patriots! We promise to do everything we can to make your experience with us as flawless as possible! We promise to give you 100% FREE exchanges and a money-back satisfaction guarantee if you change your mind. Take advantage of the Patriot Promise today! Free exchanges and money-back guarantee available for three weeks after product is delivered! We thank you for your support!